We give you everything done, the way you want it. Corporate branding to use your own logo. Free trial, free setup, free support. Open 30 days free trial account Video : Why Leave Monitor? Why should I use Leave Monitor ? Configurable to your leave planner requirements. 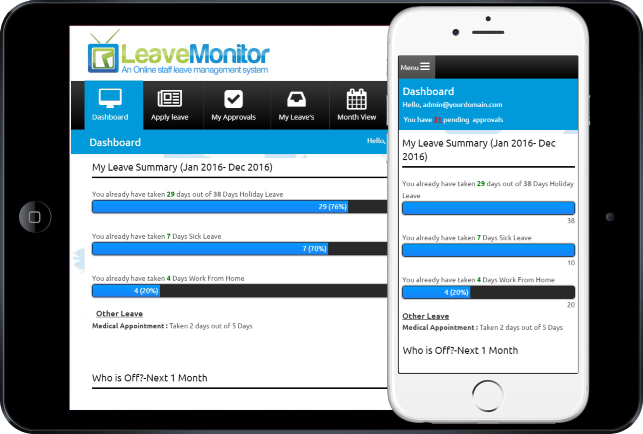 LeaveMonitor is a simple and effective absence management system for managing leave requests across the group. With an employee group of over 100 spread across Europe, Leave Monitor has become a vital planner reducing HR administration and queries. It has increased visibility across the employee group as to the movements of staff, helping improve communication across the regions. The support given by LeaveMonitor from set up has been excellent. The time taken to respond to queries is impressive and often solutions are found immediately. If supports do not have the functionality to carry out a request, they look to implement changes in their next up date. This has happened twice in the short time I have been working with them. Very handy leave planner. Easy and clear to use. And no paper work! Well spent money. Leave Monitor is the Leave management system that has allowed us to spend more time growing our business now that we are not distracted with managing employees time-off reports. Sales are up and everyone's happy! A completely virtual staff leave tracker for employee absence management, leave monitor is used simultaneously, for improving the efficiency of your company’s leave management process and system. With its provision of 24 hours of access globally, this leave tracker makes it easy for the employers to process their employees leave plans irrespective of their location. Completely secure and easy to use tool, Leave Monitor allows the employees apply their requests for vacation, notify sickness or any other type of leave. The employers can either approve or disapprove the request in the simplest manner. What more you want – the employees need not think about the time to apply since this leave tracker is accessible 24*7, means you can apply leave at midnight too. And if your boss accepts or denies the request, it signifies that he/she too is accessing the tool during that hour of night. 100% Online and entirely paperless so 24 hours global access. Secure Sockets Layer security technology for establishing an encrypted link between you and the system. Completely branded to tie in with your corporate image. Instant Email notification of any task. Employee level settings. Means you can allocate 20 days to User A and 25 days to user B. Forward authorization task from one manager to other. Company specific custom leave (ex: maternity, Study leave) as many as you want. Various reports by date range or departments or users. Complete free setup and dedicated team to help clients. Want to integrate with other system? Contact us. User can access Leave Monitor through your Internal system. 1. 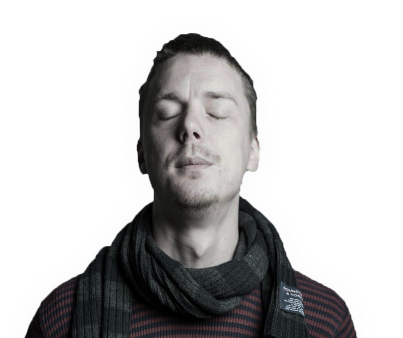 We offer free setup for all our new clients so you do not need to worry about setting up the system for your organisation. There is no contract and no setup fee for a proper trial. All you need to do is provide us your user data to our support team as per this template . Once we receive the data, we will setup all accounts and send you the details. You will have 1 month free trial period (can be extended if necessary) to use the system. If you like the system and need to know how much we will charge once the trial is over, please check our pricing page. 2. Through your trial accounts, you will get access to all standard features of the system. We offer customization of the system for client with large user group. If you have any custom policy, please contact our support team. Also if you want to integrate our system with any other system or if you want to export the data for any other system, we can set this up for you. Discover the beauty of staff management system and the rigorous process of saving administration cost . Our principle is to offer a system that is Easy to use but Cover the requirements. LeaveMonitor is a simple and effective absence management sysetem for managing leave requests across the group. With an employee group of over 100 spread across Europe, Leave Monitor has become a vital leave planner tool reducing HR administration and queries. It has increased visibility across the employee group as to the movements of staff, helping improve communication across the regions. The support given by LeaveMonitor from set up has been excellent. The time taken to respond to queries is impressive and often solutions are found immediately. If supports do not have the functionality to carry out a request, they look to implement changes in their next up date. This has happened twice in the short time I have been working with them. Very handy leave planner tool. Easy and clear to use. And no paper work! Well spent money. Leave Monitor is the absence management system that has allowed us to spend more time growing our business now that we are not distracted with managing employees time-off reports. Sales are up and everyone's happy!